Columbus, OH—The Ohio Ecological Food and Farm Association (OEFFA) announced that $285,000 is available through the National Organic Certification Cost-Share Program to make organic certification more affordable for organic producers and handlers in Ohio. This funding covers as much as 75 percent of an individual applicant’s certification costs, up to a maximum of $750 annually per certification scope. Four scopes of certification are eligible for reimbursement: crops, wild crops, livestock, and handler. Retail sales of organic products grew to nearly $50 billion in the United States in 2017, an increase of 6.4 percent from the previous year, and six times faster than the overall food market, according to the Organic Trade Association. “Ohio is a national leader in the number of organic farms and top 10 in terms of the value of organic milk, eggs, and spelt produced in the state,” said Carol Goland, executive director of OEFFA. Not all of the nearly 1,000 Ohio organic operations fully utilize the cost-share program. “We encourage more organic businesses to take advantage of this opportunity, which can help make becoming—or staying—certified more affordable,” said Goland. Reimbursable costs include application fees, certification fees, travel costs for inspectors, user fees, sales assessments, and postage. The program is currently reimbursing for expenses paid between October 1, 2017 and September 30, 2018. Applications for reimbursement must be postmarked by November 15, 2018, although requests are processed monthly. County Farm Service Agency offices also accept and process requests for cost-share reimbursements. Organic farmers and processors in Ohio can access the reimbursement application from OEFFA’s website at http://certification.oeffa.org/costshare or by calling (614) 262-2022. 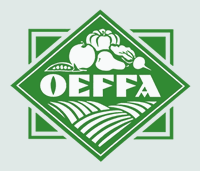 The Ohio Ecological Food and Farm Association (OEFFA) is a non-profit organization founded in 1979 by farmers, gardeners, and conscientious eaters who committed to work together to create and promote a sustainable and healthful food and farming system. For more information, go to www.oeffa.org.